Home » News » How to Start the Production of NPK Compound Fertilizer Production Line? NPK fertilizer production line or NPK fertilizer production plant is mainly used for producing npk compound fertilizer. The line adopts rotary drum granulator or double roller granulator which has large capacity for fertilizer granulation equipment, and can be used for producing high, medium and low concentrated npk compound fertilizer. 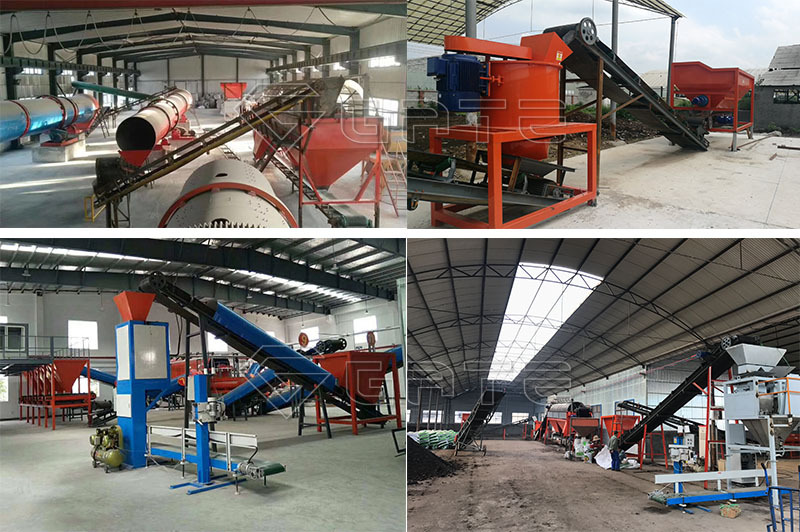 The npk compound fertilizer production line include automatic batching machine, mixer machine, rotary drum granulator or pan/sisc granulator, belt conveyor, rotary dryer, rotary cooler, rotary screen, rotary drum coating machine, automatic packing machine and chain crusher. We provide complete sets of equipment for npk compound fertilizer production and solutions for our esteemed customers! 1. Rotary drum granulator line has wide adaptability to raw materials which can be urea, ammonium nitrate, ammonium chloride, ammonium sulfate, monoammonium phosphate(MAP), diammonium phosphate(DAP), single superphosphate(SSP), potassium chloride, potassium sulfate, gypsum, lime, etc. You can choose according to market demand and soil test results. 2. Rotary drum granulator production line can produce npk compound fertilizer, organic fertilizer and organic compound fertilizer with the content of N, P, K ranging from 20-48%. It is mainly used for producing spherical particles with a diameter ranging from 1mm to 5mm. The NPK fertilizer production process is advanced and reliable. According to the compatibility and crossability of the three raw materials, N-P-K compound fertilizer in different percentage composition can be manufactured applicable for different requirements of soils and crops. Firstly, the raw materials are put into mixer in strict accordance with the technical requirements of each raw material quantity. Then the conveying belt sends the materials to crushing machine. Then, the crusher machine smashes lump materials into small ones that the fineness meets the required for granulation. 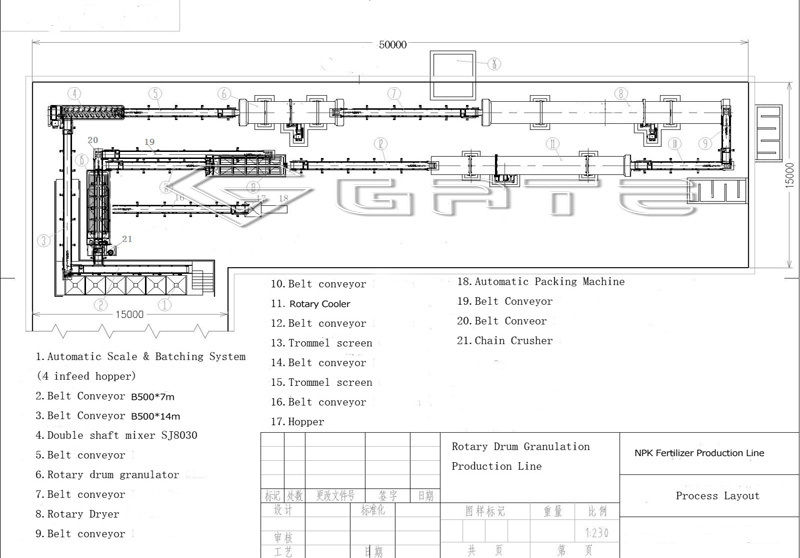 Then the conveying belt sends the materials to rotary drum granulator machine. During granulating, there is a water pump to offer gas and makes fertilizer particles forming easily. The solid fertilizer powder after granulating will rise by the rotation of the cylinder and scroll down under the effect of gravity. At the same time, according to the raw material quantity, add a certain proportion adhesives for granulation. After several times repetition of the same rotation, fertilizer materials gradually form. Next the conveying belt sends the materials to rotary drum drying machine and cooling machine. There are also draught fans to supply hot air and cold air to drying machine and cooling machine respectively. After drying and cooling is screening process. the coating machine can beautify the materials. 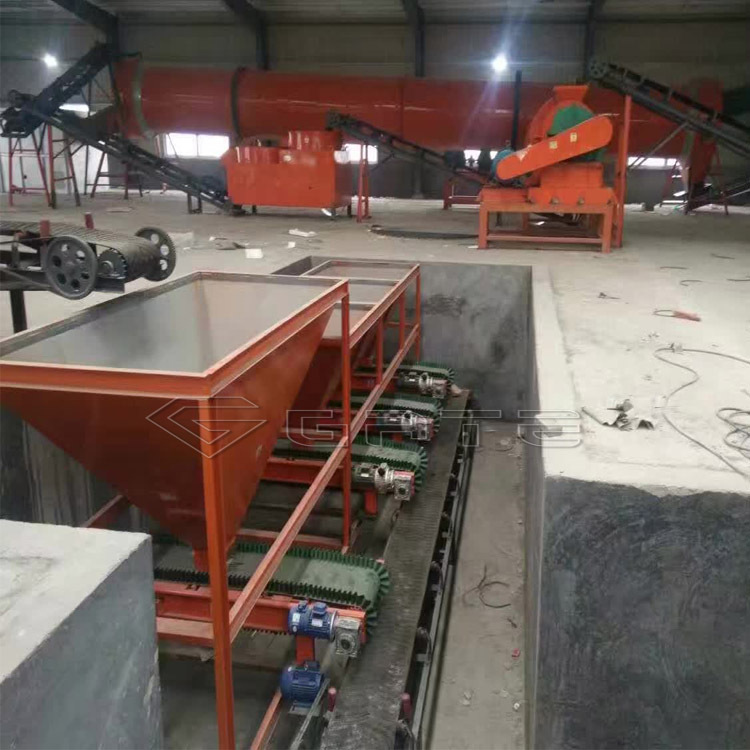 In the process of screening, the qualified materials can be sent to packaging machine by bucket elevator, while others are conveyed back to crusher or granulator to be re-processed. 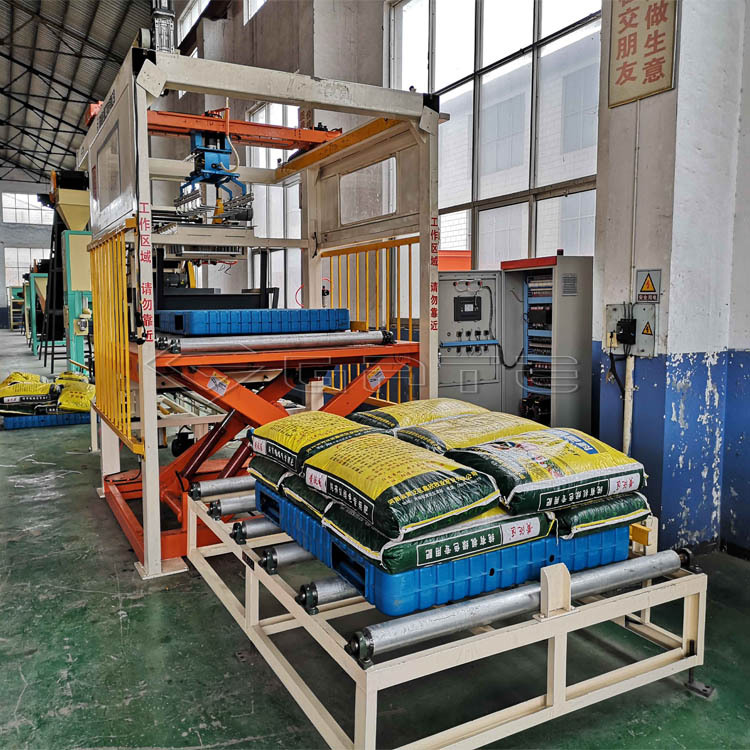 Equipped with advanced fertilizer manufacturing technology, this npk compound fertilizer production line can complete npk fertilizer granulation all in one process. The inner cylinder body adopts high quality rubber plate lining structure which prevents the raw material from sticking on the plate. Wide adaptability of raw materials, suitable for npk compound fertilizer, pharmaceuticals, chemicals, fodder and so on. High-quality, stable performance, anti-corrosion and wear-resistant materials components, abrasion proof, low energy consumption, long service lifespan, easy maintenance and operation, etc. High efficiency and economic returns, and the small part of feeding back material can be granulated again. Adjustable capacity according to customers’ requirements. Highly automatic and high precision. The batching machine system and packing machine are controlled by PLC computer to realize automation. our npk fertilizer production line can produce npk compound fertilizer, organic compound fertilizer with the content of N, P, K ranging from 20-60%. It is mainly used for producing spherical particles with a diameter ranging from 1mm to 5mm.